So we got some complaints about the color in Clonehunter -- that it was too "green". Of course that's what we were going for but hey, we'll make some changes if that makes people happier. But we have to make the changes very quickly so whatever we do it has to be global to all the colors in the movie. At first I tried pulling down the gamma in the green but what that did was make some parts of the movie way way too orange. And I had to do this today, no time for shot-to-shot color correction. So what I found is that if I just desaturated the movie a little bit -- I... like it more. So far everyone likes the movie desaturated a bit. (So if a buyer wants it desaturated they can do that before burning the DVD). Or we'll deliver the movie on a drive for them. Something. Anyway, here's a before and after desaturation takes place. Have you tried upping the contrast after you desaturate? And then putting a clown in your flick? Just wondering. Hope you're feeling better. Little Beckett has been keeping us up nights; he's an angel from 7am til 10pm (I am told, since I'm at the office most of that block) and then he turns into Pazuzu the rest of the time. I love him...and I hear him. Kangas -- yes, that would be the better way to do it. Desaturate first and then sink the blacks. These blacks here are all NTSC - safe so they may be a tad brighter than we'd want for a computer screen. But NEXT time -- NEXT time, I'm gonna desaturate. As for putting a clown in the movie, I already have David Ian Lee in the picture. What more do you want? David -- the question is: do any BUYERS want this movie of yours? That's the question. Drew, you're a regular cut-up. With such pithy wit, why do all of your first-cuts come in at 22 minutes? 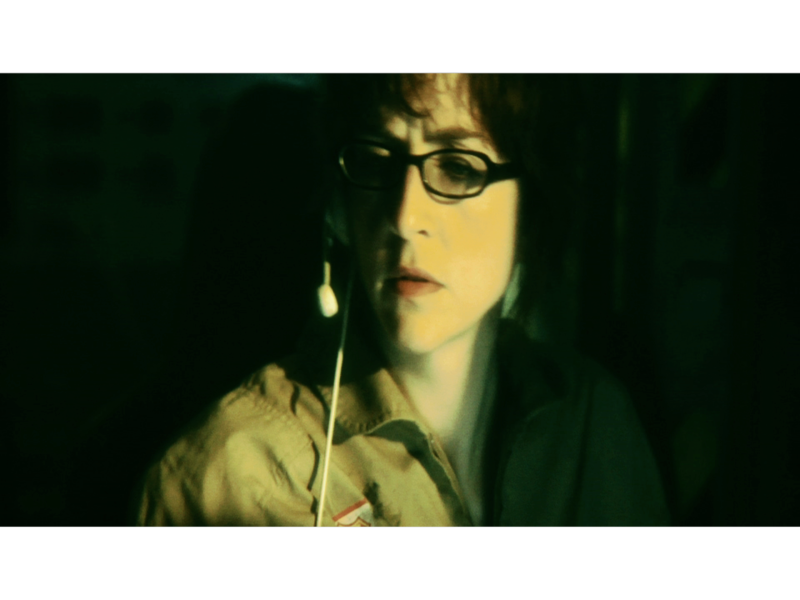 By the by: the color correction looks pretty frakkin' sweet. You were under the weather of late. Hope you're feeling more like yourself...or whoever you want to feel like. Myself: Walter Cronkite. Thanks. And thanks. And I still don't know what "first cuts" are.